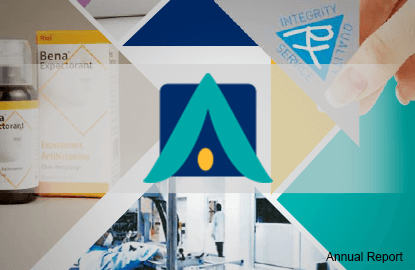 KUALA LUMPUR: Apex Healthcare Bhd, which will see founder Kee Tah Peng retire from the board at the forthcoming annual general meeting on Wednesday, is ready to chart another milestone as it takes a more aggressive stance on international markets in order to sustain its record-high revenue. Chairman and chief executive officer (CEO) Dr Kee Kirk Chin said the pharmaceutical products maker and distributor is eyeing the next level of growth by stepping up its research and development (R&D) spending this year. It will also focus on expanding government pharmaceutical businesses in Malaysia and the region, while eyeing more international growth opportunities. “Our aim in the long term is to have our international markets’ contribution account for more than 50% of our revenue,” said Kirk Chin in an interview with The Edge Financial Daily. The 54-year-old Singaporean, who is Tah Peng’s son, said he does not rule out taking the merger and acquisition (M&A) route to achieve the target. Currently, 65% of the group’s revenue comes from Malaysia, and the rest from 13 export markets, the main ones being Singapore, Hong Kong and Myanmar. “Our growth over the last 16 years is from the domestic market. Now, we will enhance the growth with more international income. We want to have greater direct presence in these 13 countries, we will also look at other new countries in Indo-China or Southeast Asia, and African south continent,” Kirk Chin said. Most of the group’s overseas businesses are currently supported by distributors and Kirk Chin hopes to change this by placing his own team in the markets to gain more control. The group, which was sitting on a net cash position of RM69.35 million for the financial year ended Dec 31, 2015 (FY15), is constantly in talks with many parties to evaluate opportunities. “It may take up to five years on our own to reach a certain level in a foreign market. If there is a local company with its own plant and own brands with certain market share, we are able to skip ‘some steps’,” said Kirk Chin. Any M&A move should allow the group to diversify into a new healthcare area that offers a new engine for growth, or one that relates to the group’s core business that would help it gain greater market share for its own brands. “We will consider any type of operations, and it can be anywhere,” he said, stressing, however, that the retail business will not be the group’s focus. Dr Kee said 50% of the group’s net profit comes from drug manufacturing, while the rest is from marketing and distribution activities. After disposing of its retail business to Hong Kong-based AS Watson Group in 2005, the group is now left with just two retail shops in Johor Baru and the original shop in Melaka. Meanwhile, as government contracts offer better stability, Dr Kee is also working hard on expanding into this area, noting that it may have a spillover effect on the group’s healthcare business in the private sector. Apex’s healtcare business is currently dominated by the private sector, with less than 5% of revenue coming from the public sector. The group also targets to spend up to 5% of its revenue from its manufacturing unit as R&D spending. Previously, it ranged between 2.5% and 3%. In the last few years, Apex launched three to four products a year, but now Dr Kee wants to double the number and focus on products that offer better margins. Dr Kee also indicated that the group needs cash to upgrade its manufacturing facilities to meet future standards, especially for entering international markets. But the group has yet to finalise its capital expenditure. It should be noted that although the low-profile family-owned group recorded a revenue of RM527 million in FY15 — its 15th consecutive year of revenue growth since its initial public offering in 2000 — its year-on-year growth was only 6%. Apex is also faced with high drug import costs after the ringgit weakened against the US dollar. Coupled with losses of RM1.8 million from its associate Straits Apex Sdn Bhd, the group’s FY15 net profit grew only 1% y-o-y to RM34.2 million. The below-expectation results prompted RHB Research Institute analyst Ng Suk Yee to maintain her “neutral” call on the counter. “The company is lacking exciting growth, but if the management is able to break through, it may offer a reason for us to relook its valuation,” she told The Edge Financial Daily when contacted. Dr Kee said last year was an “eventful year” for the group as the goods and services tax was implemented from April 1. “When the ringgit was weakening against the US dollar, imported drugs and material prices went up [but] we still capped our products’ selling prices. That’s why our margins were under pressure in FY15,” Kee said. But things should be better this year as the ringgit’s value against the greenback has improved since the beginning of the year. Also, Apex will be raising its product prices in July based on the inflation rate. Dr Kee also expects Apex’s 40%-owned orthopaedics business, Straits Apex, which returned to profitability in the last quarter of FY15, to remain profitable in FY16. “Perhaps, analysts will have a better picture of us after our first-quarter results,” said Kee. Apex’s share price closed 12 sen higher at RM4.12 last Friday, with a market capitalisation of RM482.64 million. At the current level, the price is near its five-year high of RM4.33 registered on Aug 5 last year. Year-to-date, the counter has risen 14.44%. Kirk Chin said 50% of the group’s net profit comes from drug manufacturing, while the rest is from marketing and distribution activities. After disposing of its retail business to Hong Kong-based AS Watson Group in 2005, the group is now left with just two retail shops in Johor Baru and the original shop in Melaka. Meanwhile, as government contracts offer better stability, Kirk Chin is also working hard on expanding into this area, noting that it may have a spillover effect on the group’s healthcare business in the private sector. Apex’s healthcare business is currently dominated by the private sector, with less than 5% of revenue coming from the public sector. In the last few years, Apex launched three to four products a year, but now Kirk Chin wants to double the number and focus on products that offer better margins. Kirk Chin also indicated that the group needs cash to upgrade its manufacturing facilities to meet future standards, especially for entering international markets. But the group has yet to finalise its capital expenditure. Kirk Chin said last year was an “eventful year” for the group as the goods and services tax was implemented from April 1. “When the ringgit was weakening against the US dollar, imported drugs and material prices went up [but] we still capped our products’ selling prices. That’s why our margins were under pressure in FY15,” Kirk Chin said. Kirk Chin also expects Apex’s 40%-owned orthopaedics business, Straits Apex, which returned to profitability in the last quarter of FY15, to remain profitable in FY16. “Perhaps, analysts will have a better picture of us after our first-quarter results,” said Kirk Chin. Apex’s share price closed 12 sen higher at RM4.12 last Friday, with a market capitalisation of RM482.64 million. At the current level, the price is near its five-year high of RM4.33 registered on Aug 5 last year. Year to date, the counter has risen 14.44%.